The African Union is planning to launch an African single air transport market with 40 plus countries expected to be signatories. So far, 23 African countries out of 54 have subscribed to the single African air transport market. In his New-Year address, the President of the African Union Commission, Moussa Faki Mohamed, indicated that the ambitious project of liberalization of the African sky will be launched on the sidelines of the 30th Summit of Heads of State and Government of the African Union, scheduled to take place in Addis Ababa, Ethiopia, January 22- 29. According to Moussa Faki Mohamed, 23 African countries have solemnly committed to this liberalization, whose implementation will increase the number of air routes, reduce the cost of air transport and contribute to the expansion of intra-African trade and tourism. 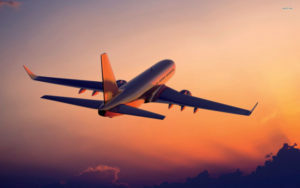 Setting up a single African air transport market (SAATM) is one of the goals of AU’s Agenda 2063, aiming to connect Africa through aviation and other transport infrastructure to achieve integration and boost intra-African trade. The Declaration on the Creation of SAATM was adopted in 2015, at the General Assembly of Heads of State and Government of the African Union. States have them made a commitment to implement the Yamoussoukro Decision of 1999 that provides for full liberalization in terms of market access between African States, the free exercise of traffic rights, the elimination of restrictions on ownership and the full liberalization of frequencies, fares and capacities. The liberalization of the sky will have undeniable positive effects and will lead to competition between African airlines, and so to a reduction of plane tickets prices between 25 and 35%. According to Euroavia International, a firm specializing in consulting services for airports and aviation industry, air transport in Africa is on average twice as expensive as the world average. Posted by Emmanuel Agbenonwossi on January 9, 2018. Filed under Business. You can follow any responses to this entry through the RSS 2.0. You can skip to the end and leave a response. Pinging is currently not allowed.